This is my second time at Burger and Lobster. If you have read my previous post, you would know that this to me, is the happiest place on earth. I ‘just’ love getting down and dirty with some lobster. At this point, it’s popularity still hasn’t wavered. In fact, we spent 2.5 hours waiting to be seated. The only reason I am happy to wait is because they call you when your table is ready. Which means I can have a cheeky few before the hunger really sets in. All are served with a side of salad and fries at £20 a pop. Approx. $35AUD. 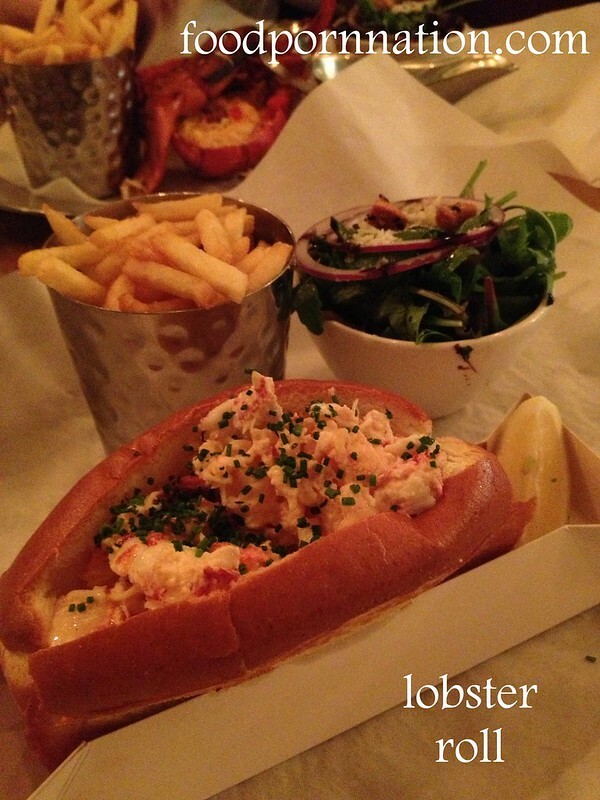 First time round I did the whole lobster, but now I wanted to tackle the lobster roll so I could compare the two.